As the defending team regains possession, they try to play the ball back to their own grid ASAP. 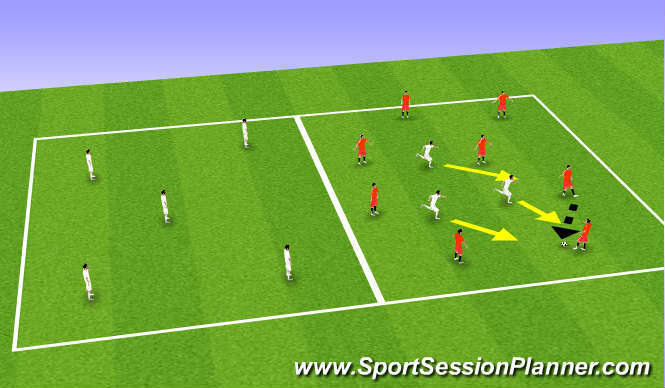 If the ball is successfully transferred into the other grid, the 3 defending players go back in helping keeping possession while the other team sends 3 players to regain the ball. - mental preparation for non-pressing players, don&apos;t switch off!